Conditon: For skin in need of clean and natural nourishment, as a moisturizer or for massage. 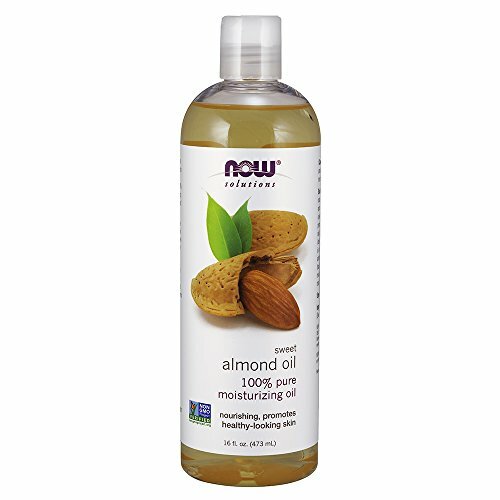 Solution: 100% Pure Almond Oil is an all-natural oil that's perfect for nourishing and reviving any skin type. Almond Oil is easily absorbed and won't clog pores, promoting clear, soft, healthy skin. 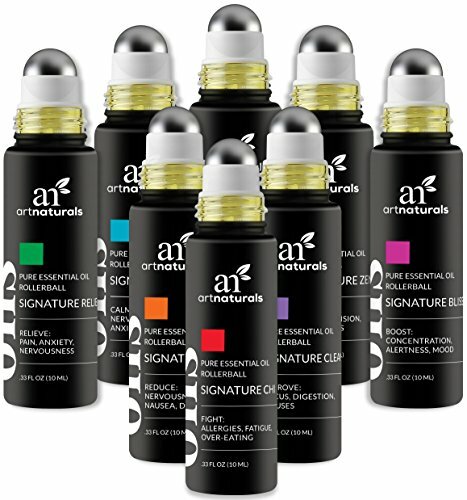 This all-natural skin-nourishing oil is idea for the entire body. Almond Oil is an all-natural oil derived from pressed almonds. Vegetable-derived oils date back to Biblical times, when they were mixed with fragrant herbs to create traditional oinents. NOW Solutions is the next step in the evolution of personal care products. This comprehensive natural line encompasses anti-aging moisturizers and serums, bath and body gels, shampoos and conditioners, oral care, skin care, and essential oils, all of which are formulated with the finest functional ingredients from around the world. NOW Solutions products avoid harsh chemicals and synthetic ingredients in all of our formulations, to provide a more natural product line. Our Extra Virgin Coconut Oil is among the healthiest, most versatile dietary oils in the world-and it's RAW. Our Extra Virgin Coconut Oil is simply the best tasting, most aromatic coconut oil on the planet-if you ask us. Unlike refined coconut oils, our Extra Virgin Coconut Oil is not hydrogenated, bleached, refined or deodorized. It is produced using the same methods farmers have used for centuries. Meat from only the finest, organically grown coconuts is shredded and cold-pressed to create coconut milk, then filtered and separated to extract only the highest-quality oil. 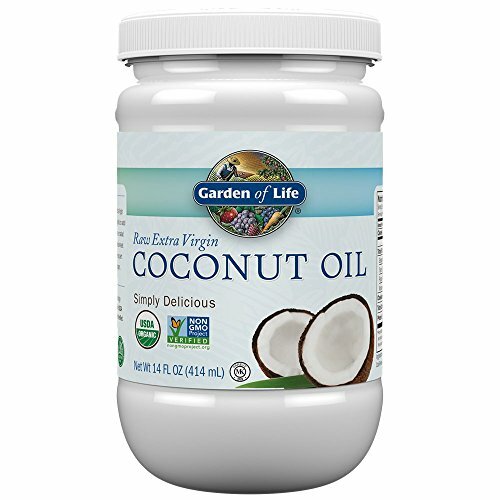 Extra Virgin Coconut Oil is a stable, healthy, naturally saturated fat that is free from trans-fatty acids. It contains medium-chain fatty acids, including lauric acid, caprylic acid and capric acid, which are readily converted to energy by the body. 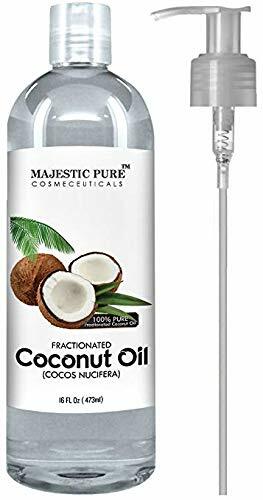 This liquid form of coconut oil has miraculous skin benefits. It has high concentration of capric acid and caprylic acid, which give it an amazing amount of antioxidant and disinfecting properties. It's an excellent moisturizer and is fantastic for soothing skin rashes, irritations and inflammation. It's also known to help fight acne. 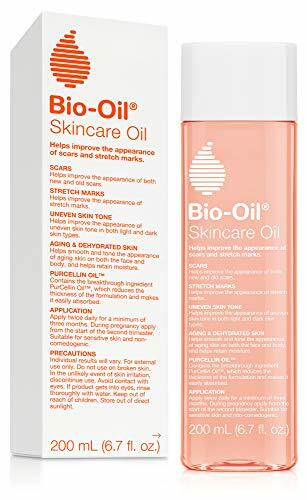 Bio-Oil is a specialist moisturizing oil that helps improve the appearance of scars, stretch marks, uneven skin tone, aging and dehydrated skin. 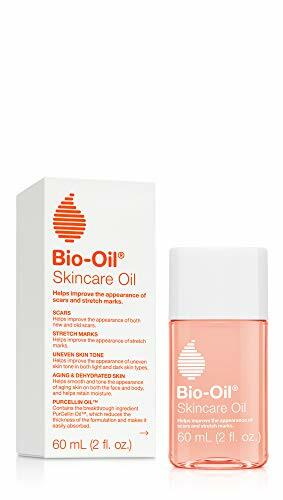 Bio-Oil has won 126 skincare awards since its global launch in 2002. It is America s number 1 selling multiuse skincare oil. A lightweight oil made with sweet almond and lemon oils and vitamin E, to recondition skin throughout your pregnancy without leaving a greasy residue. 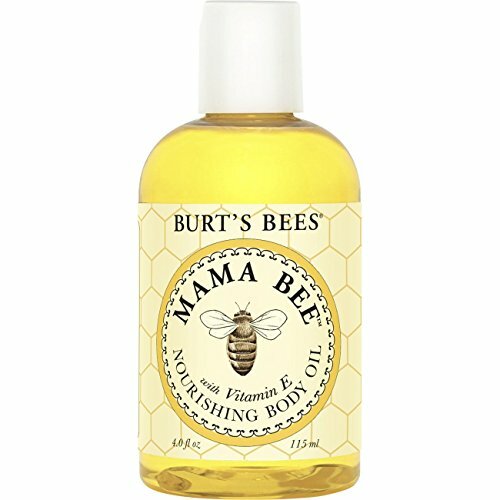 Keep your skin supple and soft with 100% natural Burt's Bees Mama Bee Nourishing Body Oil. Apply generously all over body for smooth, naturally nourished skin. It contains no phthalates, parabens, petrolatum, or SLS, so you can use this body oil with peace of mind. Pamper yourself with Mama Bee during your nine month stretch. 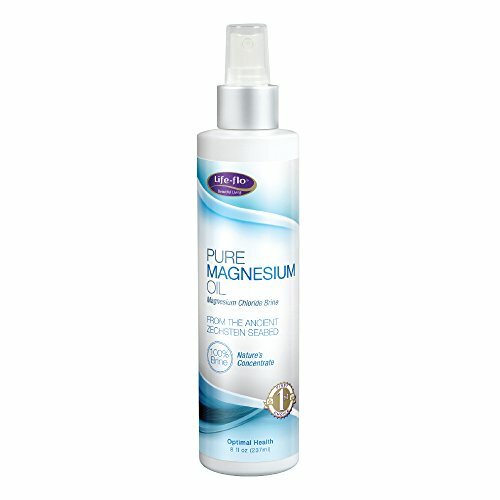 Customers Say: I have started spraying this on my legs after a shower and it helps! Customers Say: So many uses... | Really works! 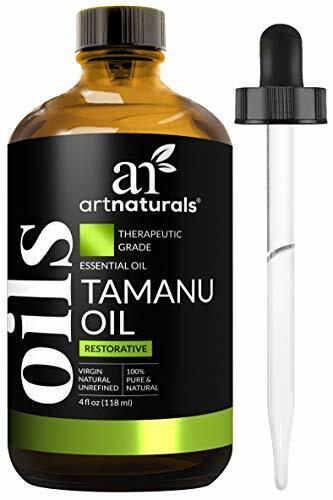 CARRIER OIL - Cold Pressed Tamanu Oil is great for replenishing and revitalizing your skin. It is a natural moisturizer and is ideal for dry, damaged, wrinkled, and cracked skin or hair. Tamanu Oil also has anti-aging and sun protection properties. ARE YOU LOOKING FOR AN ALL-IN-ONE PRODUCT THAT WOULD TAKE CARE OF THE HAIR AND SKIN OF THE WHOLE FAMILY? Castor oil is one of the widely appreciated oils on the market, and it has been a favorite for many generations & centuries. Our all natural castor oil fortified with vitamin E, & powerful rejuvenating ingredients for complete hair, nail & skin treatment. Made with powerful antioxidants, antibacterial & anti-aging properties, this non greasy carrier oil has no build up, leaving skin silky smooth without clogging your pores. 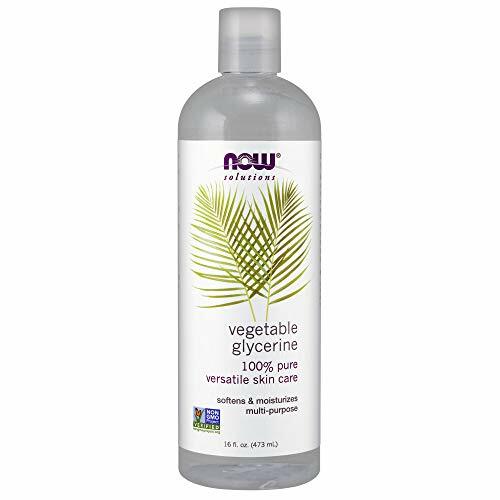 Gently moisturizes and softens skin & hair, bringing back its natural glow and overall youthful appearance. Nature's Cure-All Castor Oil is a miracle oil and a great addition to your everyday beauty regiment. Our every bottle is packed with only premium grade cold pressed castor oil that's hexane & chemical free, organic & unrefined, fragrance free, so you know it's of the highest quality. 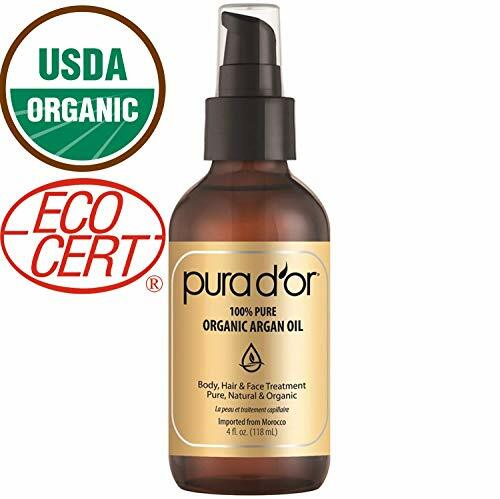 Our oil is rich in fatty acids that absorbs readily into skin and hair. It's a powerful nourisher and moisturizer. 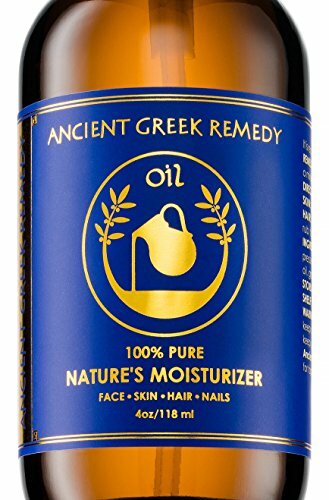 GREATEST GOLD MINE OF SKIN AND HAIR BEAUTIFICATION CRAMMED IN ONE NATURAL OIL: NATURE'S CURE-ALL 100% PURE CASTOR OIL. We guarantee you will be 100% in love with your new skin and hair. 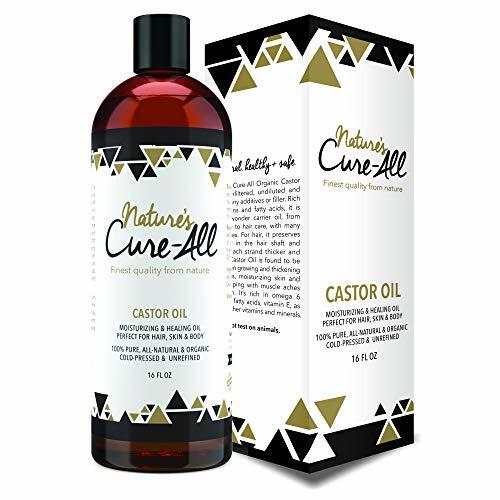 Order your Nature's Cure-All Castor Oil today! HAIR REVITALIZER - Nature's Cure All Castor Oil is the ultimate solution for your haircare that gives your dry, brittle & frizzy hair the extra burst of moisture. It prevents hair fall, repair split ends, fights dandruff, helps in hair regrowth, darkens the hair naturally, deep conditions the hair effectively, and gives you luscious hair. The antioxidants in Castor Oil support natural keratin, making the hair stronger and smoother. GET YOUR DREAM EYEBROWS AND EYELASHES - Our organic castor oil for eyes helps you get lush eyebrows and eyelashes with its nourishment and hydration. So, go ahead and use it as a serum on your brows and lashes daily to get your dream eyebrows and eyelashes. 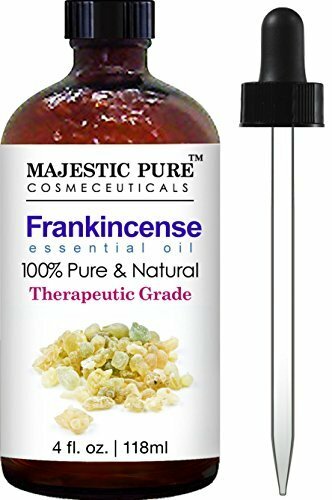 ANTI-INFLAMATORY & ANTIOXIDANT - This vitamin E fortified, hypoallergenic oil, is good for all skin types making this carrier oil a perfect aromatherapy massage oil. Castor oil is filled with fatty acids, keeps skin moisturized, and skin cells healthy. It can be used as a natural treatment for ailments such as sunburn, athlete's foot, itchy and inflamed skin and various fungal infections. ALL CASTOR OIL IS NOT EQUAL! We Challenge you to Find a Higher Quality oil. Our Formula is Ethically Sourced in India with no Fillers, Chemicals or Pesticides. We offer 100% Pure and Natural Hexane Free Premium Therapeutic Grade Organic & Cold-Pressed Castor Seed Oil (Ricinus Communis). Proudly Bottled and Distributed in the United States. 100% Pure Sweet Almond Oil for Skin and Hair (16 oz.) | Raw, Unrefined, Cold Pressed and Organic Skincare | Moisturize & Fight Dryness, Cracked Heels, Anti-Aging, Anti-Wrinkle and Baby Massage Oil. 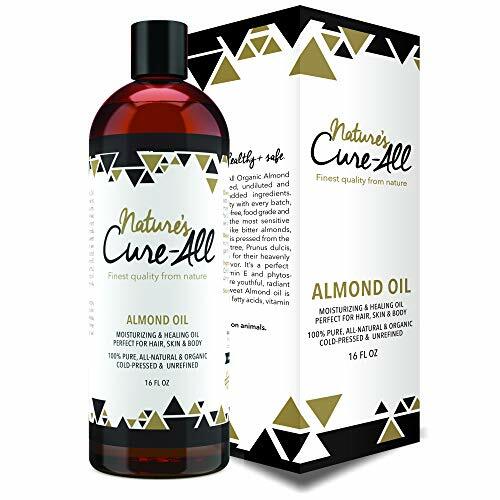 RESTORE HEALTHY BALANCE, RADIANCE, AND SOFTNESS IN YOUR SKIN AND HAIR WITH AN ALL-NATURAL AND ORGANIC ALMOND OIL FROM NATURE'S CURE-ALL. Almonds can nourish your body with their fatty acids and Sweet almond oil can do the same for your skin and hair. This gorgeous oil boasts many of its own benefits for skin and health when used alone, and also serves as a wonderful base oil for blending. 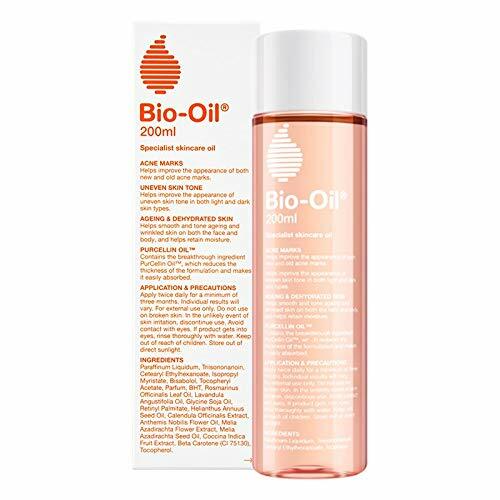 With Vitamins A, B & E, this wonder oil restores and locks moisture into your skin for quick, effective absorption that helps you achieve fresh and young-looking skin and deeply conditioning it for long-lasting benefits. This oil is gentle enough for all skin types, bringing out the best in everyone and is suitable for both Men and Women. Keeping your skin and hair moisturized is essential to ensure softness, suppleness, and manageability, especially when you're constantly being exposed to harsh UV sun rays and chemicals in most standard beauty products. That's why we created NATURE'S CURE-ALL ALMOND OIL, a raw and unrefined moisturizing oil that can be massaged into dry skin or dull, lifeless hair to restore youthful balance and stunning beauty. Rich in essential fatty acids, vitamins & minerals, our formula helps restore hydration, clean and protect your skin, and give you softer, healthier-looking hair. Cold-Pressed Organic Almond Oil - Formulated with natural minerals, nutrients, and anti-aging antioxidants, our unscented and undiluted raw almond oil is a premium source of Vitamin E that helps moisturize your skin and hair to fight dryness, restore softness and radiance, and reduce the signs of aging. 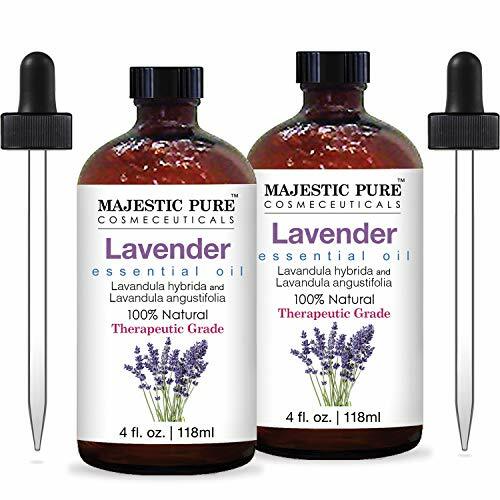 Natural Massaging Oil - Offering full-body support, our carrier oils can be used for aromatherapy, treating dark circles and bags under the eyes, minimizing the appearance of fine lines, and even healing dry, cracked, and painful heels. Gentle on baby soft skin and great for adults with stretch marks, scars, or acne blemishes, our almond oil can be used for full body massage or even as a natural makeup remover. Promote Softer, Suppler Skin - A deeply-penetrating natural almond oil that nourishes and hydrates your skin at the pore level, it can help reduce dryness and protect against oxidative stress and UV damage while cleansing skin naturally. It's also ideal for DIY beauty blends and a natural remedy for chapped lips, eczema and psoriasis. Restore Hair Manageability and Radiance - Massaged into your hair follicles our sweet almond oil can help reduce dandruff, split ends, and dullness by restoring shine, improving strength, and even giving your more control over frizz and textures. It even promotes long, flirty eyelashes. Pure, All-Natural, and Cruelty Free - Crafted in an FDA-registered facility under strict GMP-certified guidelines, our Organic Almond Oil is 3rd-party tested to ensure it's safe and effective and completely free of chemicals, additives, preservatives, or hexane. 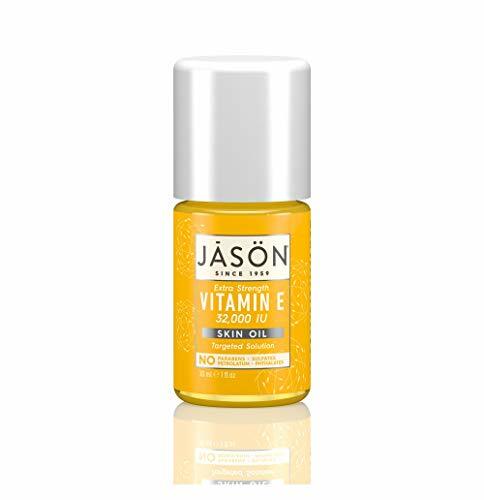 Help improve the look of your skin with JASON Vitamin E 32,000 IU Extra Strength Oil. This super rich vitamin E oil deeply nourishes skin to help minimize the appearance of scars and stretch marks. 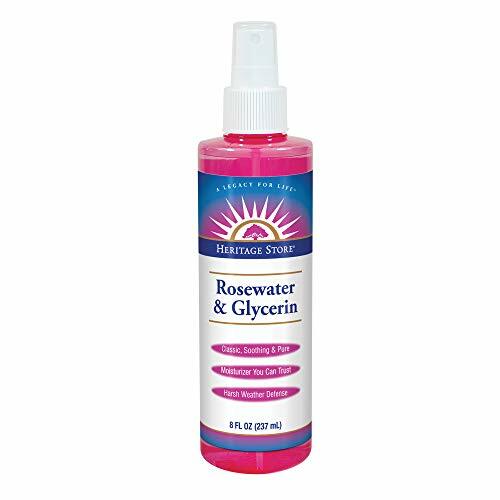 Just a drop provides instant relief and leaves skin feeling softer and smoother. Our skin oil is made with safe, gentler and effective ingredients and contains no parabens, sulfates, phthalates or petrolatum. It is also not tested on animals. The JASON brand believes in the power of nature's ingredients to improve everyday wellness. We were pioneers of safer, wholesome personal care, and we continue to harness the earth's bounty of botanicals and essentials for blends that refresh and restore. Wellness is our second nature, and it has been since 1959. 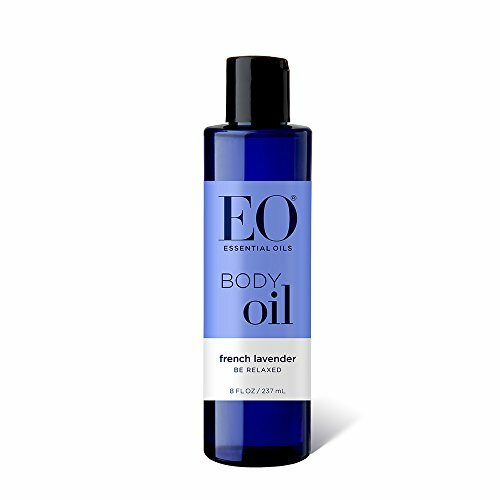 Body Oil French LavenderOur luxurious blend of nourishing, cold-pressed oils penetrate the skin quickly & deeply to make the skin extraordinarily soft & supple. Antioxidant-rich with a powerful blend of Vitamins A & E Pure, cold-pressed Safflower & Sweet Almond Oils nourish, soothe & soften the skin Ideal for massage or after bath or sun exposure to replenish moisture.